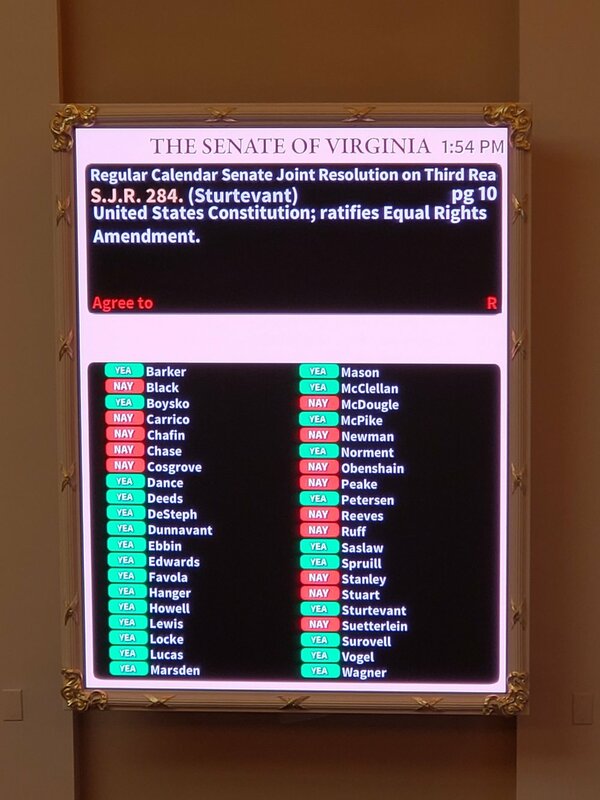 Today, the full Virginia Senate chamber voted in favor of the Equal Rights Amendment 26-14. The House of Delegates now has to get some cross over votes from Republicans on Committee and the full floor for this to pass. Read more about the pressure being put on the House from last week, here. See which Senators voted for/against below.